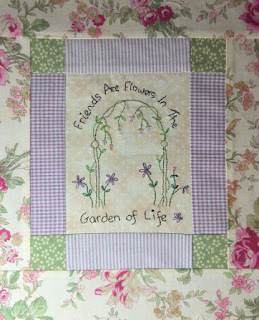 My lovely friend Michele over at the Quilting Gallery is having a mini embroidery swap and you are invited to participate. 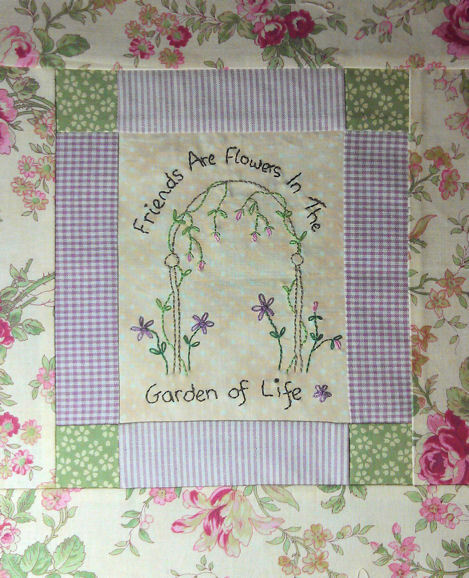 I have designed this cute little Friendship embroidery for the swap which is quick and easy to sew. To find out how to join in on the fun, simply click the link here. It will take you to the information page. Although be quick because enrollments close this Wednesday. Don't worry if your hand embroidery skills need a "freshen up". I have some embroidery stitch video tutorials over on the Stitching Cow website that cover all the stitches used in this design.After watching them you will be able to embroider this design with ease. Hope you enjoy the swap. to register for the embroidery swap program. Unfortunately the program is now closed.